You wear underwear more than any other individual article of clothing. If you sleep in your underwear, you’re literally wearing it twice as much as you wear pants, shirts or even socks. Men wear underwear all day, everyday. So why is underwear an afterthought for most guys? Why do we buy the cheapest underwear we can find? Why do we put up with cheap cotton riding up our legs throughout the day? I recently got rid of all of my old, cheap underwear and replaced it with comfortable, high quality underwear that feels great and lasts much longer. It was one of the best wardrobe upgrades I’ve made in a long time, and I hope you’ll consider doing the same thing after you finish reading this post. With all do respect, Mr. Jordan, you can keep your Hanes to yourself. The problem with Hanes, Jockey, Fruit of the Loom and other bulk underwear brands is that they’re meant to be thrown away and replaced regularly. They’re produced as cheaply as possible, which means they’re made from crappy fabrics using shoddy (and probably unethical) manufacturing techniques. 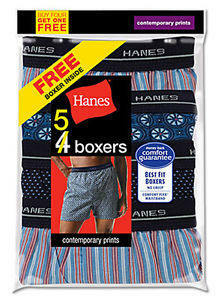 Think about it…you can get three pairs of boxers for $10. Someone made those, then they were bought by a department store, shipped halfway around the world and sold to you. Imagine how cheap the materials and manufacturing had to be to make that possible! Some things had to be sacrificed in this process, and those things are durability, comfort, design and fit. Fit is crucial for smaller guys. You don’t want excess fabric around the crotch, hips and thighs, especially if you wear slim pants. The crazy thing is, even more expensive brands like Tommy Hilfiger, Nautica and Polo are guilty of making baggy, ill-fitting boxers. Given the choice, why would you want all that extra fabric inside your pants? This comes down to preference, but I will say one thing: if you’ve been wearing boxers your whole life, give boxer briefs a try. 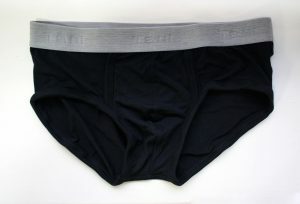 The main difference between boxers and boxer briefs is the width of the legs. Boxers fit like shorts, leaving space between your leg and the fabric. Note: Tani boxers (shown above) are slim, so they fit more like boxer briefs. Traditional boxers will have more room through the seat and leg. Boxer briefs, on the other hand, sit snug against your leg. Trunks are like a hybrid between boxer briefs and regular briefs (i.e., traditional underwear). They’re a little bit shorter than boxer briefs, which is actually perfect for shorter men. Briefs are the shortest option. I find them to be less comfortable than trunks, but some guys love them, so it’s up to you to try them on for yourself. You’ll be hard pressed to find underwear that meets these requirements in stores like Target and Kohl’s, or even GAP and Macy’s. If you want the best, I recommend giving Tani – the company that sponsored this post – a shot. I’ve tried many popular high end underwear brands like Mack Weldonand ExOfficio, and I can honestly say that Tani is my personal favorite. Tani boxer briefs are just more comfortable, plus they don’t ride upat all throughout the day, which is rare. Yes, they’re way more expensive than bulk department underwear, but isn’t it worth it? Most men are willing to invest in quality pieces, like dress shoes or suits, so why not invest in underwear too? You’ll definitely get a lot more wear out of it! I spoke with Tani CEO, Adam Dinkes, and let me tell you: this man is passionate about underwear. He truly hates “throwaway underwear” and thinks that most men don’t actually know how comfortable underwear can be. Adam explained that the Tani brand has Asian roots, which is why their products tend to have more of a petite fit compared to many American brands. His primary goal is to create a new standard for men’s underwear that’s all about quality and comfort, even if it costs more than most guys are used to paying for underwear. Of course, the most common objection to buying this kind of high end underwear is price. Who wants to spend $35 or more on a pair of underwear? To ease the financial burden, I would recommend using the code MODEST for 25% off your order, or checking out the Tani sale section (promo code not valid for sale items). You can also find a more affordable brand, but remember: you usually get what you pay for with underwear, so don’t skimp!